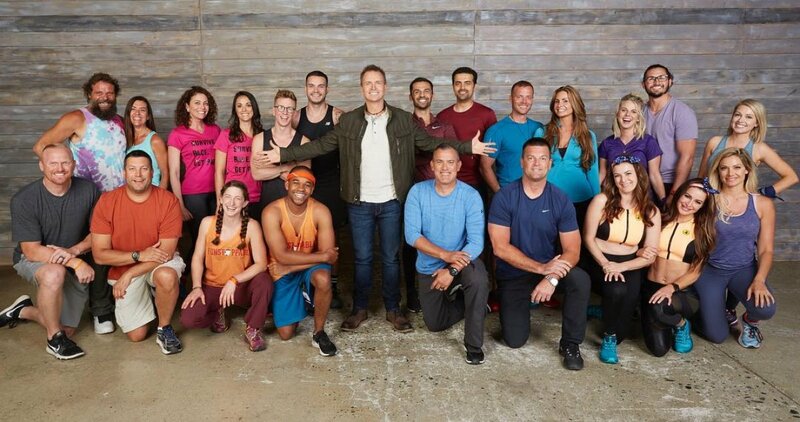 CBS has announced The Amazing Race's "Reality Clash" season will premiere with a one-hour episode on Wednesday, April 17 at 9PM ET/PT, although the network had previously set the show's debut for May 22. The premiere is being moved up after LeBron James' new Million Dollar Mile competition series delivered weak ratings for its first two episodes in the Wednesday night time period. Million Dollar Mile's remaining episodes will now air on Saturday nights, and CBS will air a repeat episode of NCIS in Million Dollar Mile's timeslot this week. Million Dollar Mile will therefore air its eight remaining episodes on Saturdays beginning May 4 at 8PM ET/PT, ultimately pushing back Ransom an hour later to 9 PM ET/PT. As previously revealed, Season 31 of The Amazing Race will feature strong competitors from past seasons of The Amazing Race, Big Brother and Survivor racing for the $1 million prize. The Amazing Race announced in June 2018 it had begun filming its 31st season when the show's official Twitter account posted a video of host Phil Keoghan standing at the starting line in Hermosa Beach, CA. All 11 of the participating teams had also previously been leaked to Reality Fan Forum's message board by spoiler sleuths and eyewitnesses back in June. "Will the former Racers' travel experience be the most helpful? Will the former Survivors outwit, outplay and outlast the competition? Or, will the Big Brother players' abilities to adapt and expect the unexpected make the difference?" CBS teased. Friends from Boulder and Highlands Ranch, CO, who previously competed on Season 29 of The Amazing Race. Friends from Los Angeles, CA, and San Francisco, CA, who previously competed on Season 28 of The Amazing Race. Cousins from Pasadena, CA, and Houston, TX, who previously competed on Season 23 as well as The Amazing Race: All-Stars. Friends from Temecula and San Marcos, CA, who previously competed on Season 20 of The Amazing Race. Life partners from Austin, TX, who previously competed on Season 5 of The Amazing Race. Sisters from Van Nuys, CA, and Las Vegas, NV. Rachel previously competed on Seasons 12 and 13 of Big Brother. Rachel, a former Big Brother winner, also competed on Season 20 and 24 (All-Stars) of The Amazing Race. Elissa previously competed on Season 15 of Big Brother. Janelle previously competed on Seasons 6, 7 and 14 of Big Brother, while Britney previously competed on Seasons 12 and 14 of Big Brother. Dating couple from Ubly, MI, who recently got engaged. Nicole previously competed on Seasons 16 and 18 of Big Brother, while Victor previously competed on Season 18 of Big Brother. Eliza previously competed on Survivor: Vanuatu -- Islands of Fire and Survivor: Micronesia -- Fans vs. Favorites. Corrine previously competed on Survivor: Gabon and Survivor: Caramoan -- Fans vs. Favorites. Rupert previously competed on Survivor: Pearl Islands, Survivor: All-Stars, Survivor: Heroes vs. Villains, and Survivor: Blood vs. Water. Laura previously competed on Survivor: Blood vs. Water. Friends from Moore, OK, and Dedham, MA. Both guys previously competed on Survivor: Millennials vs. Gen X.